Our Van Nuys facility is fully equipped to produce one and two layer prototypes with next day delivery available. With all processes in house from emailed Gerber file retrieval to final testing, we have complete control of your products from start to finish. 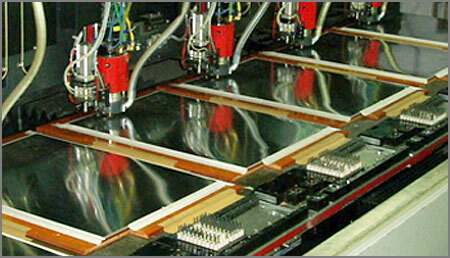 Multilayer boards can be manufactured in 1 week or less. Call for a quick quote and get your newly designed board into your hands in record time. Or click here to email your information for an online quote.